The land of amazing beaches and rainy forests, Malaysia welcome you to spend your vacations in the lap of sandy and sunny beaches. Travel mate introduce the Malaysia our pancakes from Karachi. 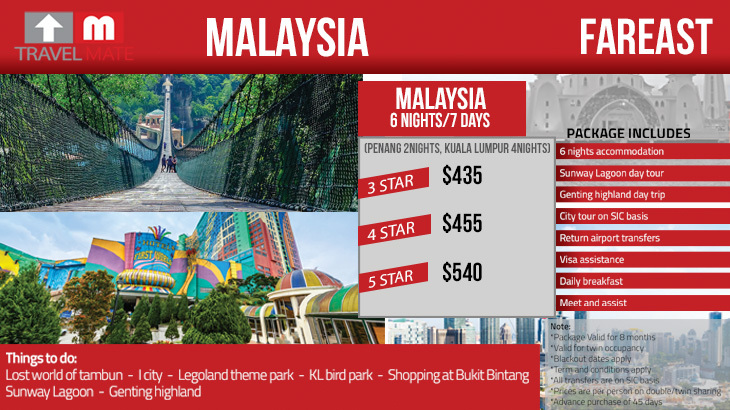 Our Malaysia tour packages from Karachi includes the visit ti sunway lagoon, City tour and 5 star accommodation. 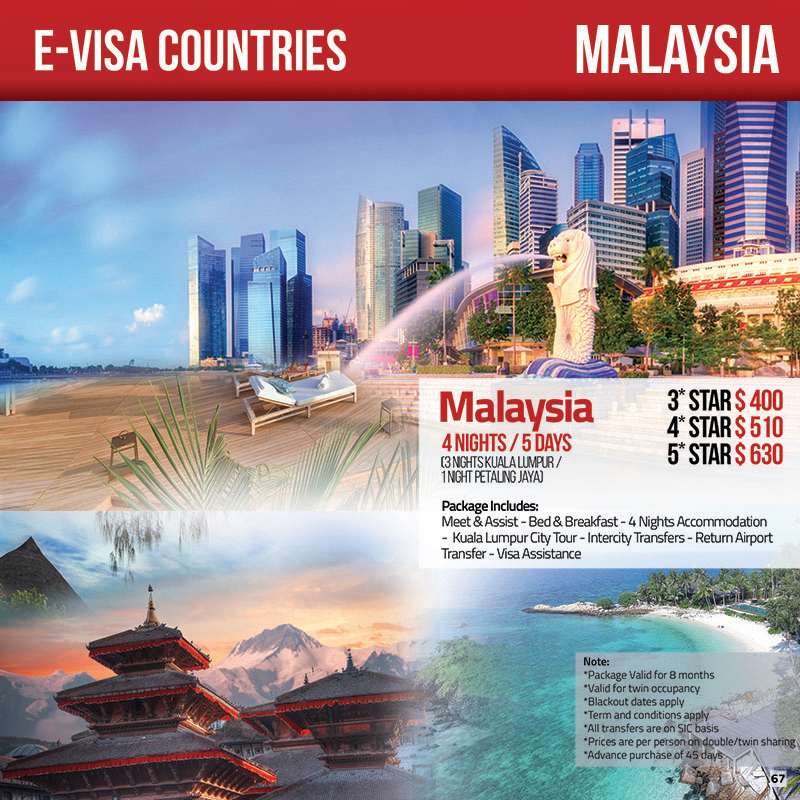 Experience the beauty of Malaysia with complete Malaysia tour packages of Travel Mate. Malaysia tour package with 4 nights accommodation with malaysia e-visa daily breakfast Full Day LGK city tour. Malaysia Tour package with 6 nights accommodation, sunway lagoon day tour, Genting highland day trip, City tour on SIC basis and more with travelmate.